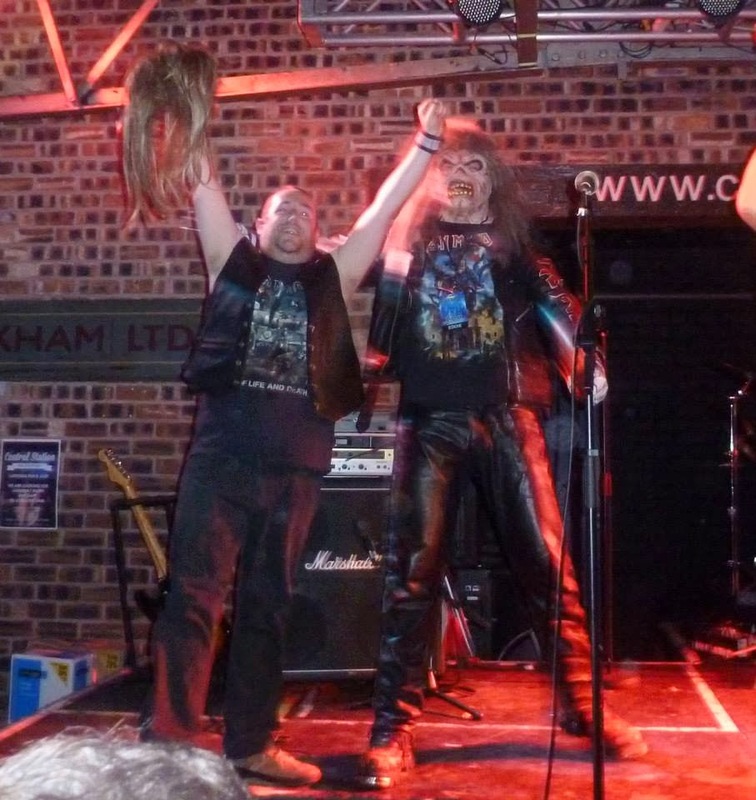 As those who came to our recent shows in Wrexham & Nijmegen will know (and any intrepid Facebook-ers out there may have already surmised), I am sad to announce that I will be leaving Hi-on Maiden. I joined in November 2003 as third guitarist "Manic Gers", doing three-guitar shows at bigger venues and filling in for the then-incumbent Adrian Swift at some smaller shows. 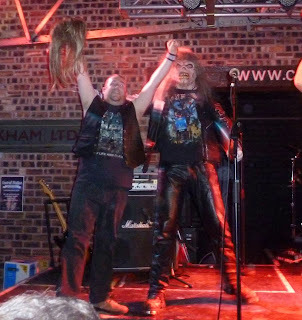 During a number of fairly dramatic line-up changes in 2007 I became the full-time "Dave Hurry", and ever since then I have been wigging it up on stage right. Over the past year, it has slowly become apparent that I'm not enjoying the time on-stage as much as I used to, and after a long time trying to work out what I could do to fix that feeling I came to the (perhaps inevitable) conclusion that my heart simply wasn't in it any more. Being onstage and feeling like that was awful. I felt like I was letting everybody down: the rest of the band, the audience, and the music. As a result, I have decided that it is time to step away. It was an incredibly hard decision to make, but I feel its the right decision for me and for the band. I have nothing but love for the rest of the band and everyone in it's orbit, including our dedicated followers and the many, many fine bands and venue staff we've met along the way. I've had an absolute blast with this band, including some of the most memorable experiences of my life. I have toured Turkey, I have played in front of 2,000 people in Greece, and I have made some great friends all over the UK and Europe. I couldn't have done it without you, and my thanks go to every single one of you reading this. Two very emotional shows in Nijmegen this past weekend were officially my last, although today's developments mean that there are now two more Hi-on shows in the book for this year in Wakefield and Bolton. The lads have already been setting plans in motion to find a new Dave Hurry, but I have agreed to do those shows if things don't quite work out in time! I couldn't be leaving the band in better hands, with the brilliant Simon now fully entrenched as bassist and support from an extremely enthusiastic new manager, I am confident that the band will go from strength to strength. Sorry for the long rambling self-important post! I tried to keep it short (no, really, I did!) but it was really bloody hard to write! All my love, and I'll see you in the crowd!!! P.S. Yes, I WILL finish the Rhodes diary. I promise! P.P.S. If you fancy the job, get in touch with Adrian Swift!